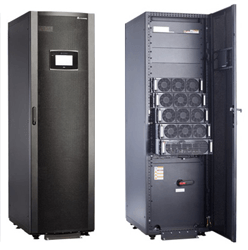 If your organisation protects its critical power path with an uninterruptible power supply (UPS system), the chances are that you have also taken out a UPS maintenance contract. How do you know if you have the right UPS maintenance contract or plan in place? The first thing to ask is ‘why do you need a UPS maintenance contract’. UPS systems are supplied with a warranty covering parts and labour. During the manufacturer’s warranty period if there is a fault or alarm condition, you can call the UPS technical hotline and they will either send an engineer or if the uninterruptible power supply is a small ‘plug-in’ one, a replacement swap-out. The time for the engineer to visit your site will vary between UPS manufacturers and could even be on a best endeavors basis within 24-72 clock hours or more. Now if this UPS system is running items within your critical power path you probably want a far faster emergency call-out response. This is one thing a UPS maintenance contract gives you and most UPS manufacturers and their resellers will offer a 4 clock hour, 8 working or 12 working hour response. In addition, they will also tend to include technical support within their UPS maintenance contract on a 24/7 basis so you can speak to someone for assistance even outside office hours. Your UPS system may also be remotely monitored. Where this is the case, often the service team within the UPS reseller or manufacturer often known about a fault condition and need to visit site before the critical power user. The next reason to have a UPS maintenance contract is that you should have your UPS inspected annually. Remote monitoring can only do so much. An actual Preventative Maintenance Visit (PMV) by a UPS engineer is always recommended because of the type of work that can be completed on-site. Not only does this include a visual inspection of the system itself and consumable items like batteries, fans and capacitors, it also allows for cables and bypasses to be inspected, switchgear ‘hot-spots’ to be investigated and the overall ambient and condition of the UPS room to be reviewed. As well as the system maintenance visit, some UPS resellers also provide additional options to include within the visit. These include UPS battery testing. Whilst on site, the engineer can apply battery testing on an individual battery block and string basis uses hand-held testers. The engineer can also use load bank testing (when arranged) to test the UPS on a load. Other features that can be included within a UPS maintenance contract include: firmware upgrades, labour cover, parts cover, 24/7 remote monitoring and even battery replacement and recycling. For more information see our UPS maintenance contracts or call us on 0800 210 0088.